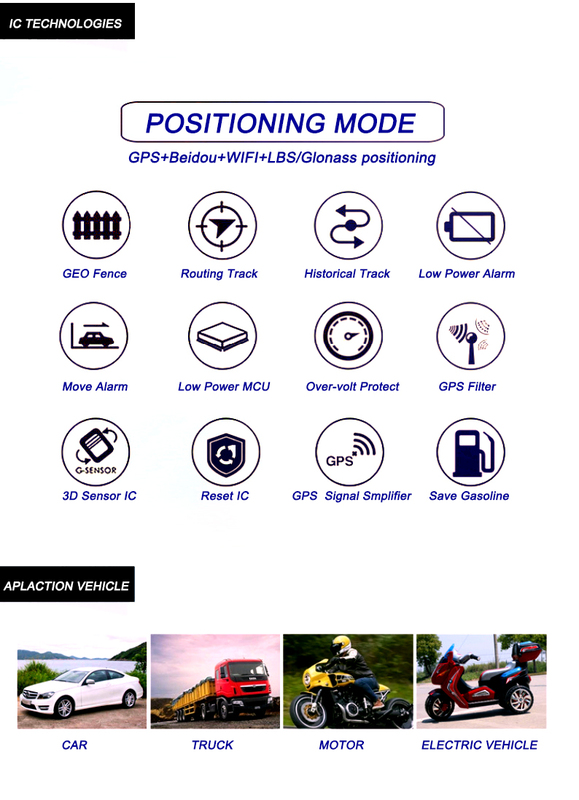 With on-board of GPS Positioning Tracker, it can locate at any time and anywhere, improve efficiency, achieve real-time update of vehicle position and state, improve the utilization rate of resources and turnover rate. Strictly control the vehicle speed, route, fatigue driving, and emergency help or other hidden dangers. In short, with rapidly rise and development of the Internet of Things(IoT). Vehicle Battery GPS Tracker & locator are of great significance for logistics management and other industries. In the foreseeable future, the development of GPS Positioning must be faster and faster. 24V Trucks Battery Protector with GPS Track device is a integration of GPS Technology into 24VBP300Ah of Trucks start up and solar battery protector. Therefore, It has dual functions of Truck Battery Saver and GPS Tracking management. Provide faster starts up your car or truck. It's used in 24V36Ah~300Ah lead-acid battery. It is special for start-up battery of vehicle or watercraft, as well as in solar energy storage battery and UPS back up power. Choose a battery smooth surface with no heat, no overflow acid and not sealed, wipe out the dust and water vapor; tear off the double-sided adhesive protective film at the bottom of the Battery Smart Pulse Protector, press to the installation position,( suggest to prepare glass-rubber or AB glue to make the protector bottom firmly adhesive). Loosen the fixed screw on battery pole, connect the black wire of protector to the negative(-) terminal of the battery, the red wire to the positive(+) (refer to the drawing below), and then tighten the screws of battery. The protector automatically detects the working state of the battery after proper polarity connection. If everything is normal, the indicator light is green, there is no alarm sound. If the battery is in abnormal condition, issue the alarm tone as our instruction manual. Looking for ideal GPS Car Tracker Manufacturer & supplier ? We have a wide selection at great prices to help you get creative. All the GPS Tracing Device are quality guaranteed. We are China Origin Factory of GPS for Trucks. If you have any question, please feel free to contact us.